What is the Right of First Refusal in real estate? 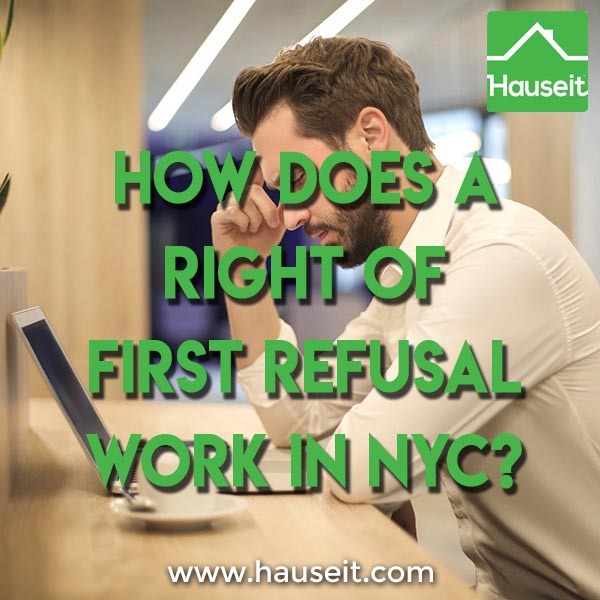 How does a Right of First Refusal work in NYC? A Right of First Refusal is a typical requirement in a condominium’s By-Laws which allows the condominium corporation to purchase an apartment at the same terms as a buyer who has already signed a contract to purchase the apartment. What Is a Right of First Refusal by Condo Boards in NYC? Can Condo Boards Abuse Their Right of First Refusal in NYC? Have Condo Boards Ever Exercised Their Right of First Refusal in NYC? The Right of First Refusal is a privilege that is rarely exercised by condo boards primarily because it is exceedingly difficult to raise funds either through a special assessment or a loan to be able to purchase a multi-million dollar condo in NYC. Furthermore, even if it were possible to raise the funds, there would likely be severe opposition against the board from most condo owners in the building. This could result in unnecessary litigation within the building which costs everyone money, uses the building’s reserves and destroys the marketability of the building! The Right of First Refusal exists to protect condo owners in the building from non “arms length” transactions at off market prices between friendly parties. For example, no owner would be happy if one of their neighbors decided to sell their apartment at half its market value to their family member. Doing so may legitimately confuse future buyers that the deal was a real comparative transaction which would lower potential sale prices for everyone’s apartments in the building! The purpose of this letter is to state that the Board of Managers of [NAME] Condominium has waived the right of first refusal for the purchase of unit [X], owned by [NAMES], as Trustees of the [NAME] Trust, for the amount of $[AMOUNT]. If you have any questions regarding this matter, please feel free to call [MANAGEMENT COMPANY] at [PHONE NUMBER]. You will receive a waiver of the Right of First Refusal from the condo board after you’ve submitted the condo’s purchase application and before closing. Not all condos require a purchase application, and even those who do typically only require a short form to be filled out in contrast to lengthy co-op purchase applications. 6.5 If the Board’s failure to either exercise such right of first refusal or issue a Waiver Confirmation is attributable to either Party’s bad faith conduct, that Party shall then be in default here-under and the provisions of Article 8 shall apply. As you can see from the sample purchase contract language above, there is no way around the Right of First Refusal. A standard purchase contract in NYC will include language that requires you to abide by the Right of First Refusal language in the condominium by-laws. However, it’s important to point out that unlike a co-op board, a condo board does not have the power to reject you for any reason. Just because your veteran buyer’s agent negotiated a great deal for you does not mean the condo board can reject you. The only way they can deny you your deal is if they muster the funds to purchase the apartment themselves. In contrast, co-op boards frequently reject applicants because they feel that a deal’s price is too low and that it won’t be helpful as a comparative transaction for future sellers in the building! As of November 2017, we are seeing and hearing about more instances where condo boards have abused their right of first refusal to effectively discourage a potential buyer from completing their purchase. A condo board typically has 30 days to respond with a right of first refusal after a condo purchase application has been submitted. However, if the condo board requests additional information say on day 28, the 30 day time limit starts all over again. This is the case even if the condo board maliciously asks for something trivial or for something that was not even in the original condo application. 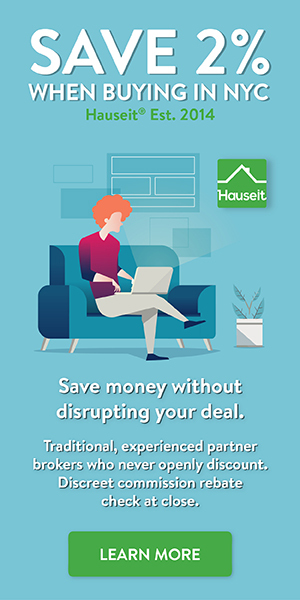 By doing this, they can frustrate a potential condo buyer and perhaps even force the buyer to abandon the deal due to a rate lock expiring or just pure frustration. Here is an interesting real world example we’ve encountered of condo boards abusing their right of first refusal in New York City. A wealthy finance executive recently had a divorce with his wife. The wife was now in contract to buy a luxury condo to live in with their children. Even though it was an all cash purchase and the husband made a tremendous amount of money, the condo board wanted to be difficult because the wife had no income of her own. As a result, they came back around 25 days after the condo application had been submitted to ask if the ex-husband could co-sign the purchase. The husband grudgingly agreed since it was for his wife and kids after all. However, after another 20 days or so the condo board came back again and asked to see the husband’s tax returns. This was egregious because the husband was well known and very wealthy, and the condo board knew the husband’s name by now. The husband was furious but ultimately agreed to share his tax returns which were several hundred pages in length. Then after another 20 days or so the condo board asked to see if the husband could put several years of common charges into escrow. This was the last straw, the buyer’s lawyer sent in a letter threatening to sue if the board didn’t dutifully make a decision on their right of first refusal immediately. This ultimately got the condo board to issue a waiver of their right of first refusal; however, it should be noted that if you decide to litigate you had better be able to follow through on it. If not, your bluff will be called and you will lose all leverage. Also remember that condo boards are usually not afraid to litigate as they are not using their own funds, but are rather being funded through a potentially unlimited levy on all of the fellow condo owners. Yes, although the chances of a condo board being able to scrape together enough funds to purchase the average $2 million New York City condominium are exceedingly slim. The only case we’ve heard of a condo board actually exercising its right of first refusal was for an Upper Manhattan condo that was priced just under $1 million so buyers could avoid the Mansion Tax in NYC. The buyer put an offer in of $920,000 and for some reason the board was able to scrape together the funds to buy the apartment. Perhaps the board felt that the price was too low, or that it was undervalued for some reason. The buyer ended up raising his offer to $990,000 in order to stave off this exercise of the condo board’s right of first refusal (remember that the condo board can only exercise it and buy it at the same terms as the prospective buyer of a condo unit). However, the condo board raised the funds and exercised its right of first refusal anyway. In the end, the condo board ended up flipping the condo a few months later for around $1,100,000. However, with closing costs in NYC as high as they are, the condo board did not make a profit. Talk about a strange exercise in futility! What a waste of time and energy by that condo board!